Last year, the Huffington post published an article listing the top five regrets of the dying. As listed, the number one regret spoken from people leaving this earth is, "I wish I'd had the courage to live a life true to myself, not the life others expected of me." 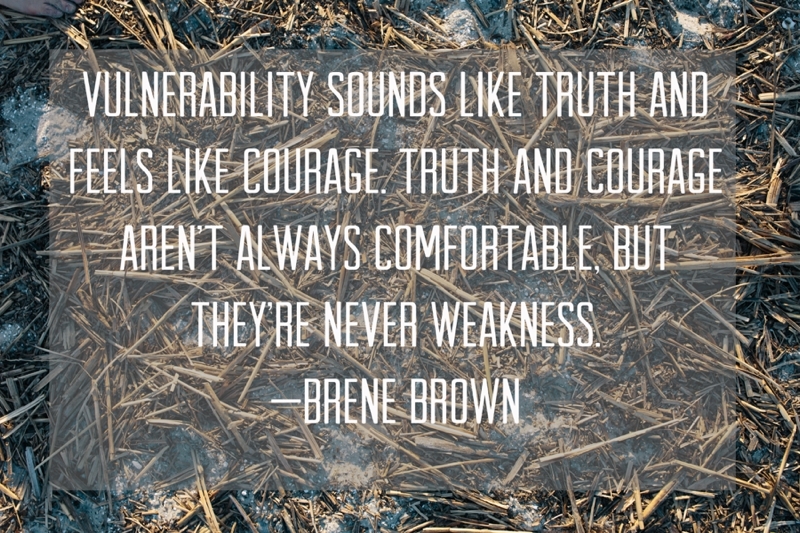 In her book Daring Greatly, Brené Brown encourages her readers to embrace vulnerability in order to reach truth, courage and, ultimately, a whole life. Of the five main regrets of the dying, at least three of these unfulfilled wishes have a direct correlation to vulnerability as described by Brown. Recently, I heard the Vega String Quartet play a beautiful concert at Emory University. One of the members was not present for this particular performance as he had flown back to China to attend his father's funeral. As the first violinist announced this news to the audience, there was a loud gasp in the room as everyone quickly drew in a quick, deep breath. The violinist quickly explained that although their fourth member was grieving he was also celebrating. She said this man passed away in the same home he was born, and in his many years between life and death he lived well. As their bows danced on the strings playing pieces you could not help but lean in and smile to, I imagine they were also honoring a life well lived by trying to do just the same. When faced with moments of vulnerability this week, I hope we try and lean in a bit and allow truth and courage to come forth and become a new melody. I think I might like to hear that. I certainly know I don't want to regret not trying it.